Barbara Yanni has over thirty years of experience in pharmaceutical Business Development and Finance. Barbara currently serves as an independent director of three clinical-stage biopharmaceutical companies: Trevena (NASDAQ:TRVN), Symic Bio and Vaccinex. She serves on the audit committee of all three companies and chairs Trevena’s compensation committee. Barbara retired from Merck & Co., Inc. in 2014 after 12 years as Merck’s Vice President and Chief Licensing Officer. Barbara and her team successfully structured and negotiated agreements to acquire rights to over 150 compounds, programs and technologies to enhance Merck’s pipeline. Barbara greatly increased Merck’s visibility as a preferred partner – Merck was named “best biopharma partner” in an independent survey by Boston Consulting Group. 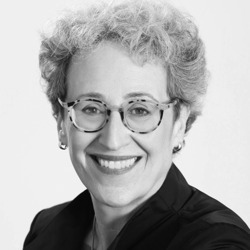 Barbara began her Merck career as a tax lawyer and then transitioned to Finance, first as Director of Benefits Financing and subsequently as Senior Director of Financial Evaluations and Analysis where she evaluated the financial aspects of acquisitions, joint ventures, licenses and other transactions. She joined Merck’s corporate development group in 1997. Before joining Merck Barbara was a tax lawyer in New York. Barbara has a J.D. from Stanford Law School and an AB from Wellesley College where she studied Physics and Latin. She also holds a Masters of Law in Taxation from New York University.